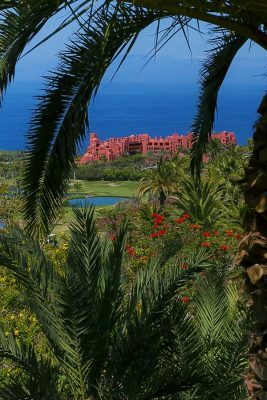 Abama Luxury Residences was created as an integrated resort located on Tenerife’s west coast. 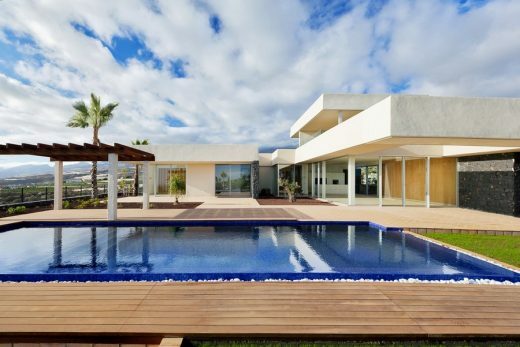 Shapes, materials and landscaping relate to traditions of the local area and similar tropical destinations in order to provide a strong sense of place in exceptional surroundings. This sense of place is created by a combination of structures with intricate cut outs creating a contrast between light and shadow, stucco in muted earthlike colours, stone walls, dark carpentry and mud and stone pavements. Melvin Villarroel, the famous Peruvian architect who created the overall concept and carefully built the landscape and hotel, defines this architecture as ‘ethnic’, ‘spacious’ and ‘airy’. 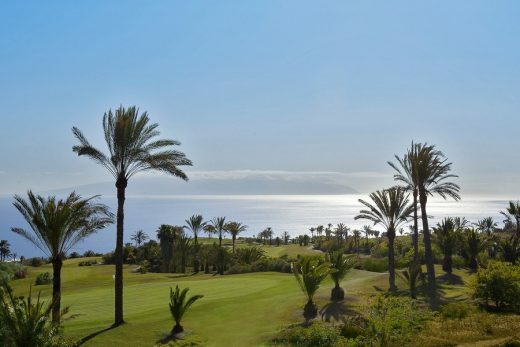 The Resort lies on a 160 hectare piece of land stretching from the ocean up to 500m. The 18 hole Golf course connects the different parts of the project and is designed by Dave Thomas. 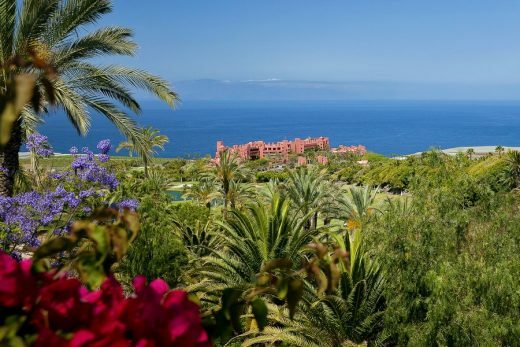 The hotel, itself is in the style of a Moorish Alcazaba with a group of 148 villas terraced underneath it. It overlooks the ocean and is close to the beach. 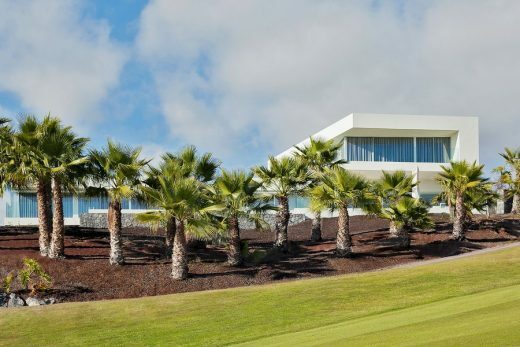 At the centre of the project, close to the Golf Club House, The Terraces of Abama are available for sale and are inspired by the Villarroel concept. 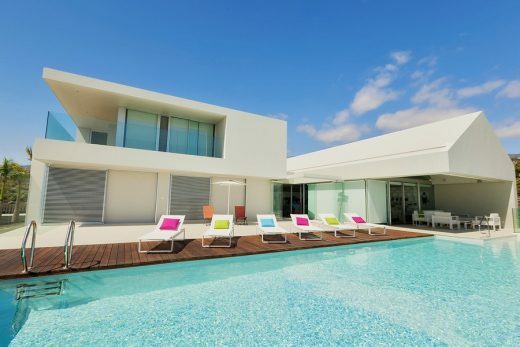 The highest part of the resort will be occupied by private residences, villas and condominiums. In this part of the project, the initial designs of Melvin Villarroel are being mixed with other refined designs of local architects. 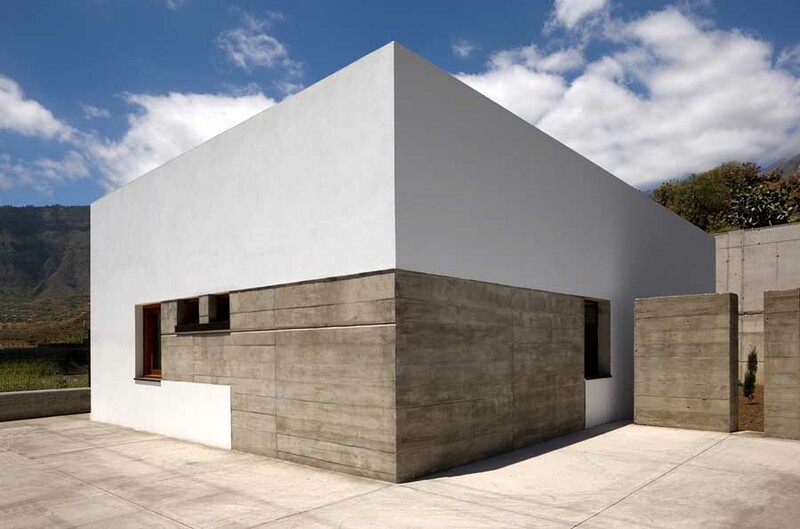 These projects maintain the basic trends including cut outs and local materials using a modern architectural language. 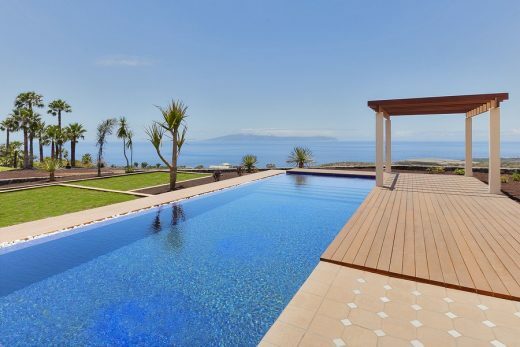 The properties have been designed to maximize views, to integrate buildings with their surroundings and to retain stone walls, fences and local tropical vegetation. 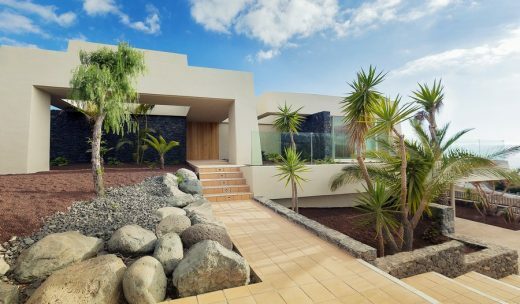 Basic materials come from the island of Tenerife with concrete used for the structure and partition blocs, local gray basaltic stone for retaining walls and mud and stone pavements. 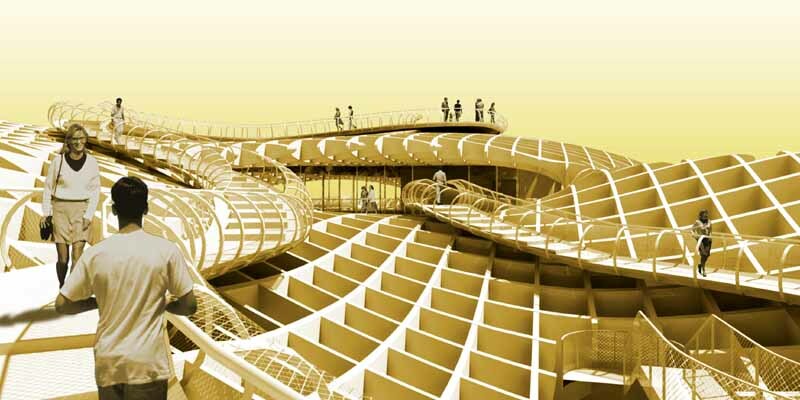 The carpentry, industrial products and facilities come from the peninsula in Spain. • Lighting project: Irene Bas.